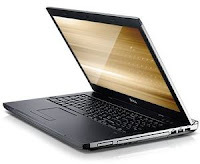 The Dell Vostro 3750 is a new lappy in Dell Company. It can be installed with the operating system as Windows 7 Professional 64-Bit and the processor is Intel Core i3,i5 and i7. It has so many features are available such as up to 6GB Ram support, 750gb Support Hard Disk, 17.6" inches screen display, Wi-Fi, Bluetooth, Optical Drive, speakers etc and its weight is 2.25 kilograms. Its Price is Rs. 41000/- in India. But Presently in 2011 it will be approximately Rs. 30000- Rs.35000/-.